30 Days of Photos was my first 30 day project. Inspired by Matt Cutt’s video . All I had to do was carry a camera with me and take one photo a day. Outside of that, there wasn’t much else to it. The biggest difficulty was finding interesting things to shot. Especially when you work nights. It makes it hard to find the time to go out of the way to photograph something worthwhile. There are a lot of filler shots and shots from everyday things in my life. So there’s shots of things like a connect 4 game (we were playing a lot of connect 4 at the time), or screen shots of programming or computer games. Though, in my defence, I had planned on one screen shot. I thought it be something a bit different in the collection. I really would of liked an interesting Team Fortress 2 screen grab, but I was playing a lot of Hard Reset at the time. The other challenge that came with working nights was actually taking photos at night. As a result there are a lot of blurry shots of lights at night. But whenever I could I’d plan interesting things to do so I could get a good photo. And that’s the best part of this project: going on adventures and having the photos to remember them by. 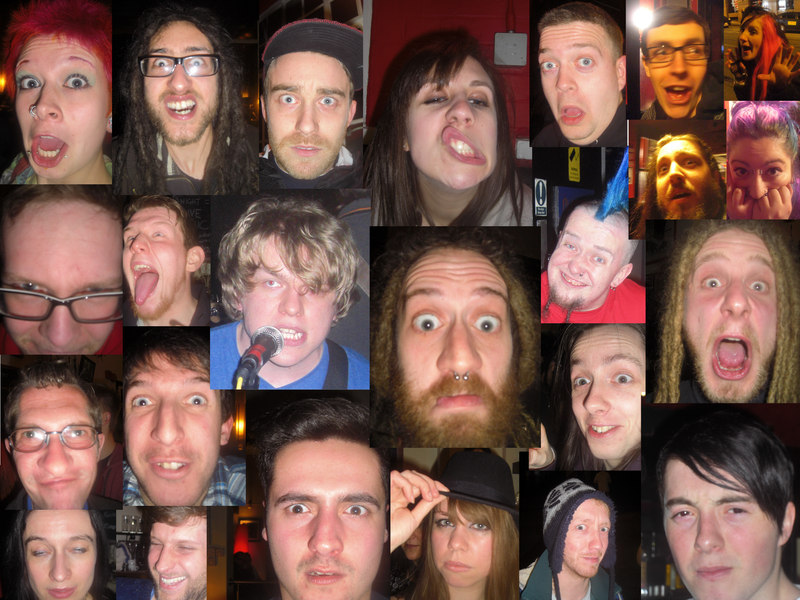 I wont bore you with tales behind each photo (honestly, some don’t have an interesting background). I thought I’d pick out a few that really stand out for me. As part of finding interesting things, on my way home I started walking along the other side of the road, where I found a footpath that in 3 years of passing I’d never been down. That footpath led to a park and what looked like a load of dirt jumps for bikes. I thought I’d hop on there and get a good shot. It was a bit damp and slippery so I sprinted up a track and clawed my way up the final few meters. From up there the view was spectacular; a side of Nottingham I’d never seen. 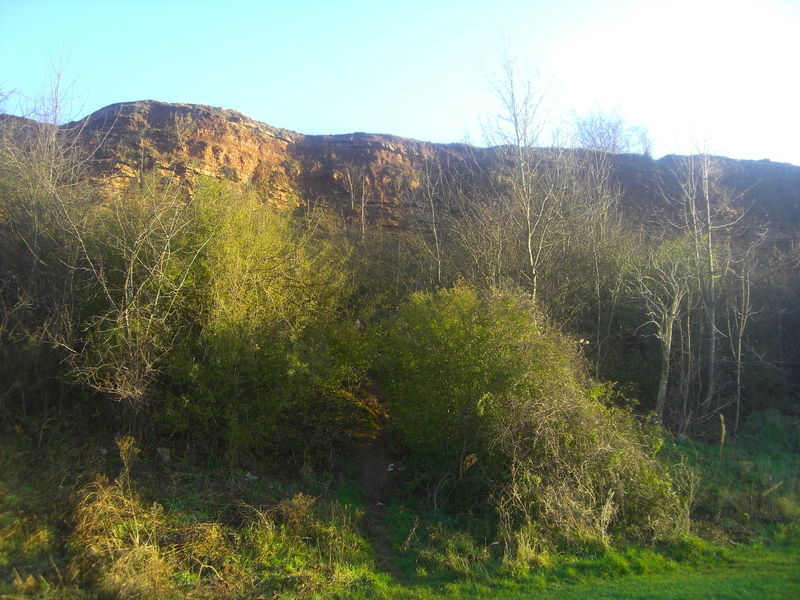 However, it was no set of dirt jumps but a sandstone cliff (not sure how I made this mistake!). And there was no easy way down. After much slipping and sliding and trying different routes I managed to get back on the path. Still it was an interesting detour. 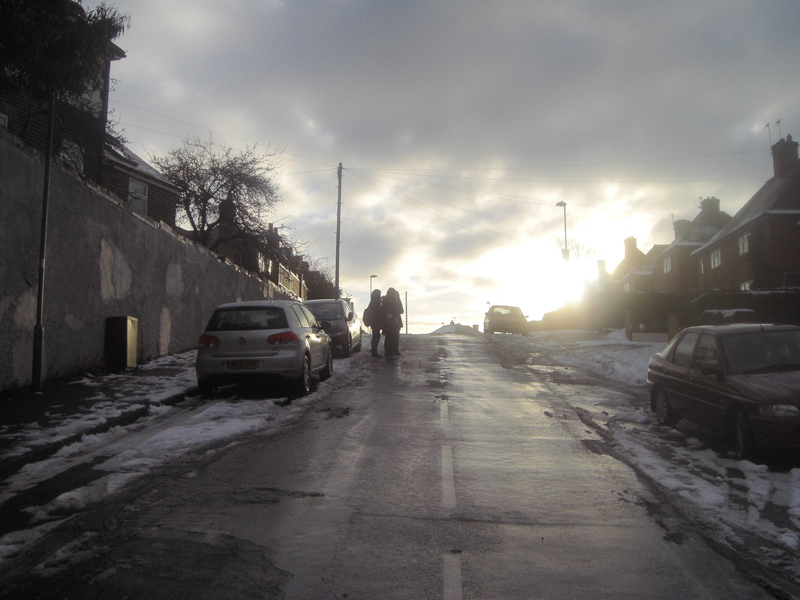 I’d taken a photo of this street earlier, and really liked the cold morning light. In the end, I decided to use another photo for that day, but I was determined to get another shot of that street. So each day I would walk by it waiting for the right moment. Then one morning after a bitterly cold night and some snow the moment arrived. I think my co-workers must of thought I was a little strange when I kept going on about failing to capture this shot, well stranger than usual, but it was worth it. I had a lot of fun with this project and while my adventures may not seem the most exciting to others, it really helped me break out of my routine a little and try something new. ~ by Jay on March 27, 2012.